Over Christmas I came to the sudden realization that my house was a big, huge, unorganized mess. Some would call it nesting, I think it was more of a, “Holy crap, this total wreck is driving me nuts!! Make it stop!” I went on a rampage, detailing to my husband everything in the house that I wanted changed (including a long list of honey do’s). We made a list of organization projects and repairs I wanted done and we’ve been working on it ever since. One of the big organizing projects was the sewing room, which also doubles as our office. The goal for this project was to use everything we had and spend as little money as possible. It’s still a WIP but is a thousand times better than the tornado pic I posted last time. Scott moved my sewing table to the outside wall and I love having a window to look out of while I work. 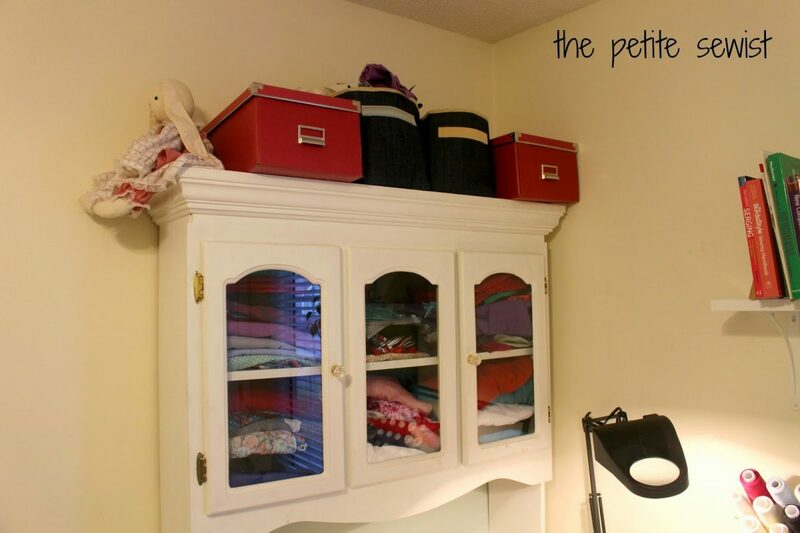 He pushed the fabric hutch up into the corner. I thought it would look dumb, but it makes my fabric really accessible to me while I’m working on a project. With the space we created in the middle of the room, we’re able to put down a queen mattress when family comes into town. 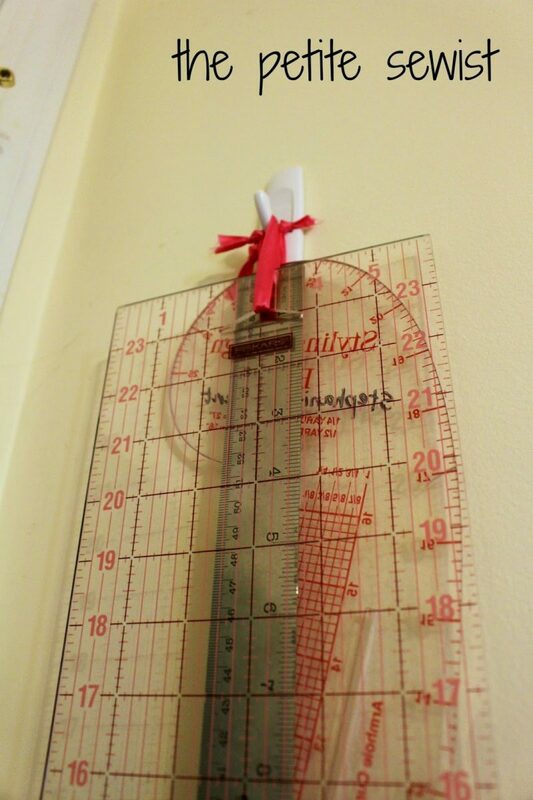 I used to shove my cutting mats in the far corner of the room. Now they are neatly hung on the door. I mounted a couple of command strips and hung the mats from hangers. 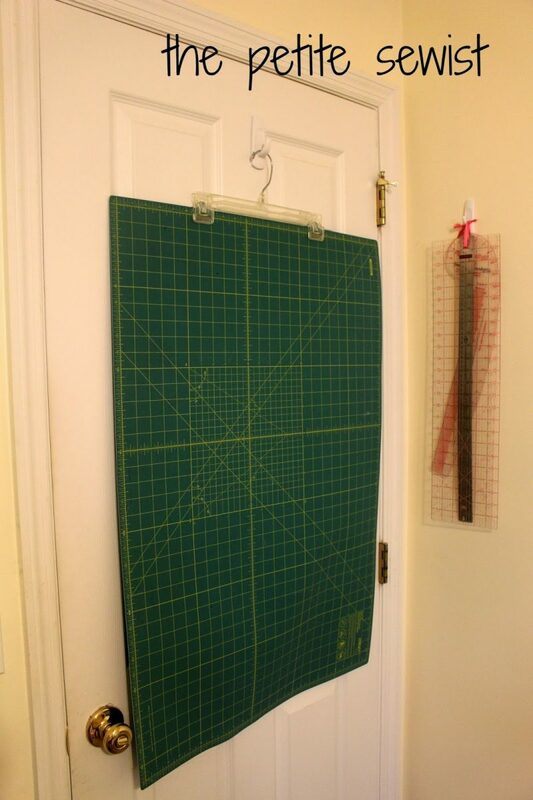 My Olfa mat stays put on the hanger, but the light green mat (today it rested on the sewing table) requires some shelf liner to keep it from slipping. I put ribbon loops on my rulers and hung them from a command strip on the wall. 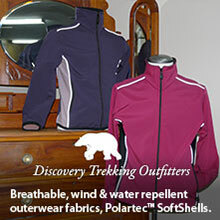 It’s nice to have everything out of sight, but easy to access. I’ve been meaning to hang this serger thread organizer since we moved in 2013. I’m sure this has never happened to you: you see something for 70% off that is slightly damaged (2 pegs were broken off) and think to yourself, “I can fix that!” It goes into a box of forgotten projects. When you finally get around to fixing it, it takes like 2 hours to fix (that you could have spent sewing) and you wish you’d just bought one on sale or used a coupon. Oh well, at least I got to use my drill. As you can see in the picture above, the top left peg and the bottom leg peg had broken off. I bought a dowel at Lowe’s roughly the same size as the the others. 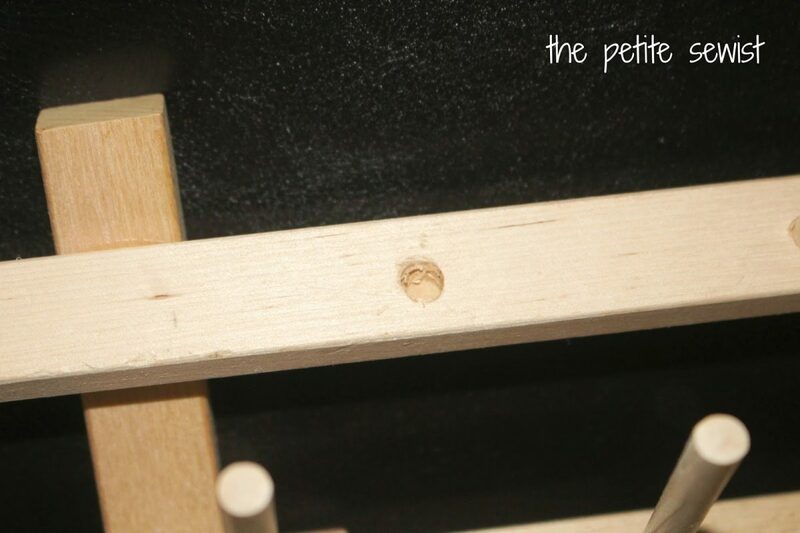 I hollowed out the holes until they were wide and deep enough to hold new dowels. I cut the dowels with a big pair of branch loppers because a saw would have eaten the poor dowel to pieces. I sanded the dowel until it fit in the hole nice and snug. 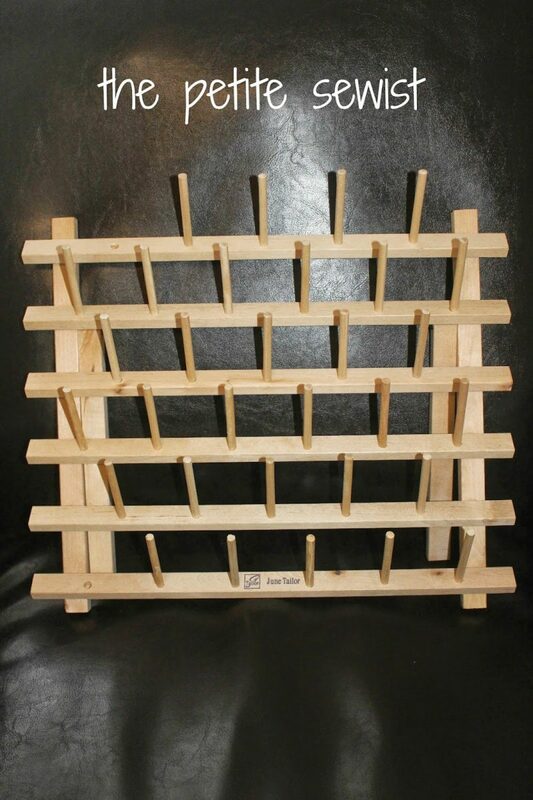 I put some wood glue in the hole, popped the new dowel in, waited for it to dry, and my cone thread organizer was as good as new! Mounting my thread organizers was a little trickier. They are advertised as being able to be hung on the wall but no hardware is provided. I used to hang my spools from the red ribbon on the right, but it wasn’t very stable on a nail. I wanted something more permanent, so I screwed them to the wall. First, I drilled holes on either side of the racks. 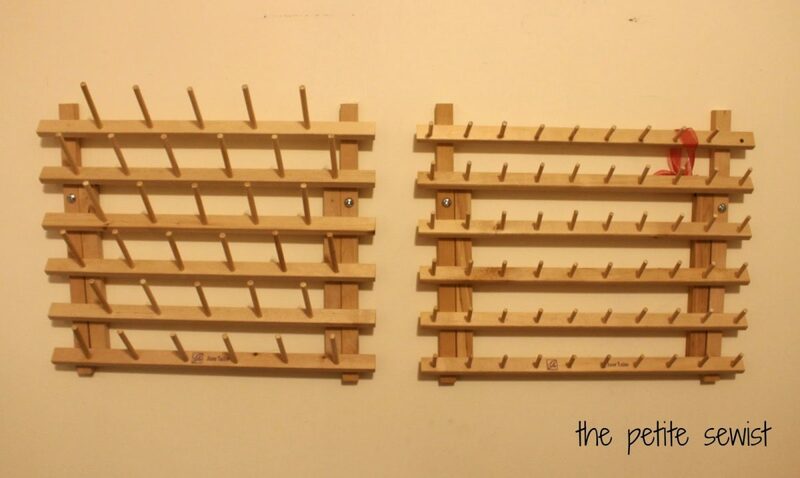 Then, I held the racks up to the wall and measured where the holes in the wall would be. I drilled holes in the wall and popped my plastic anchors in the wall. Finally, I inserted the screws through the racks first, then used a screwdriver to screw them to the wall. I am very pleased with the result! My husband installed my new Ikea shelf above the thread organizers. I bought the shelf a year ago and realized I forgot to buy the brackets that come with it. Booo!!! We live HOURS away from an Ikea so I finally went to Lowe’s and just bought a couple of brackets. I couldn’t drill into the shelf to secure it to the brackets, so we took some command strip adhesive and applied it to the side of the bookshelf that butts up against the wall. This should keep it from toppling off the brackets. I love my new bookshelf and having the thread on the wall. The DIY art piece and the philodendron plant added a nice touch. The total cost for this project was only $20 (bookshelf mounts, command strips, mounting screw kit, and a dowel for the thread organizer). It’s not Pinterest-worthy but I am loving it! 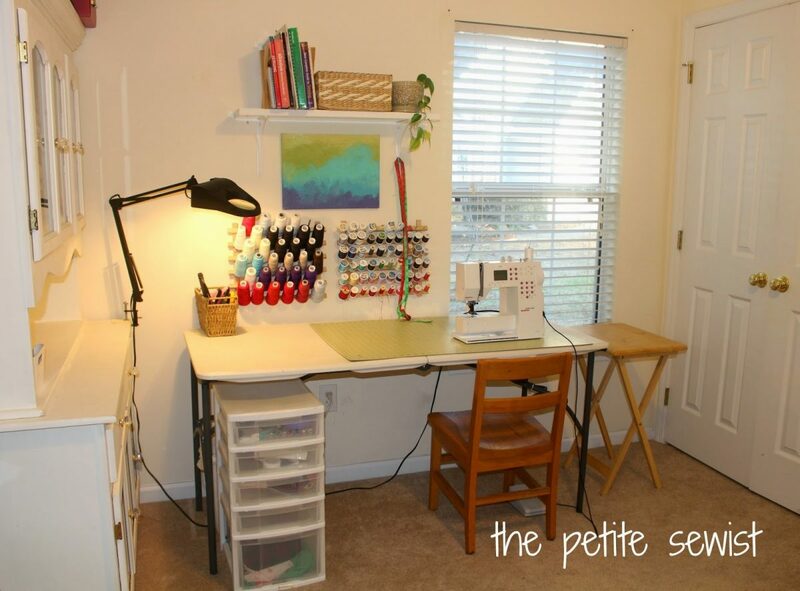 Your sewing room looks great! 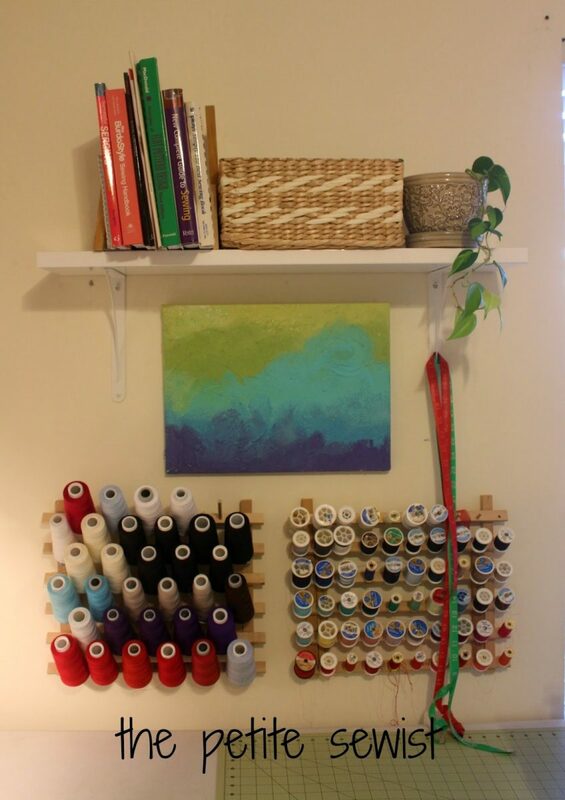 I recently got some thread racks to hang on my walls too, and I love them so much. Thank you, Bryanna! 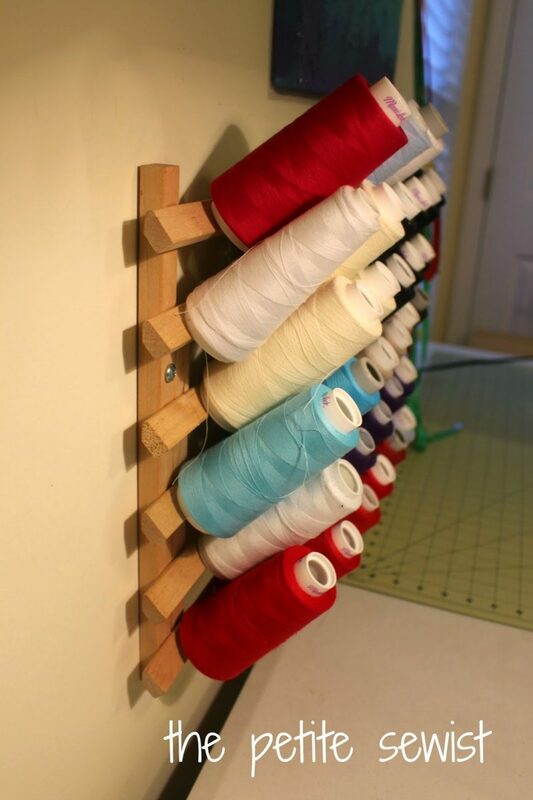 Thread racks are so nice to have.